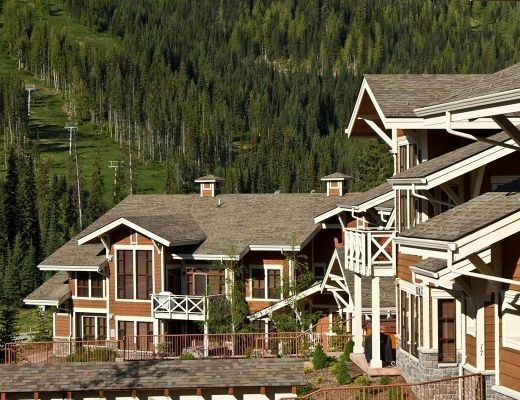 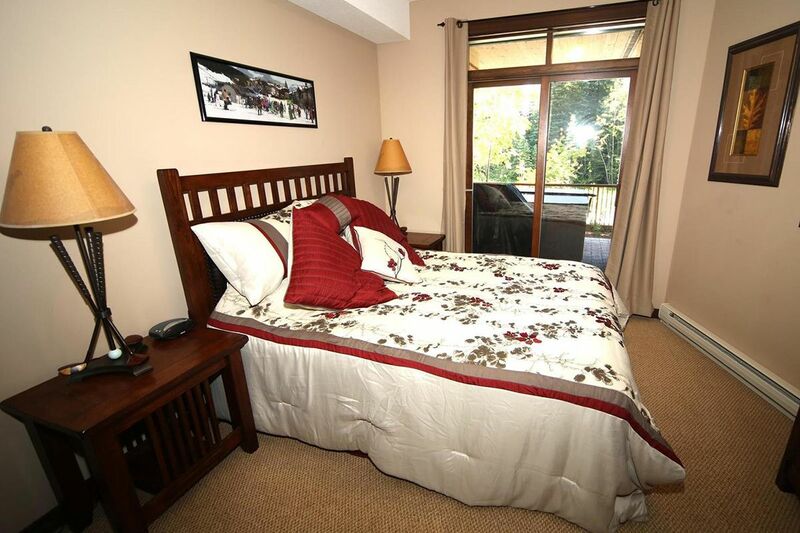 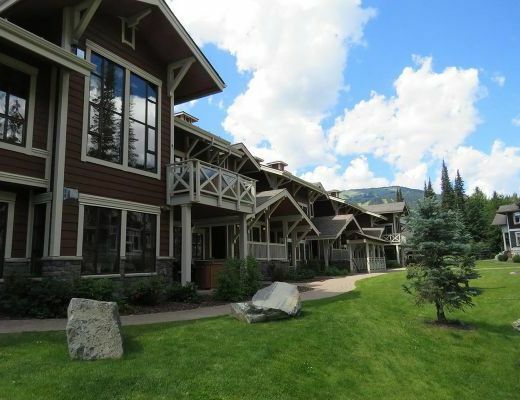 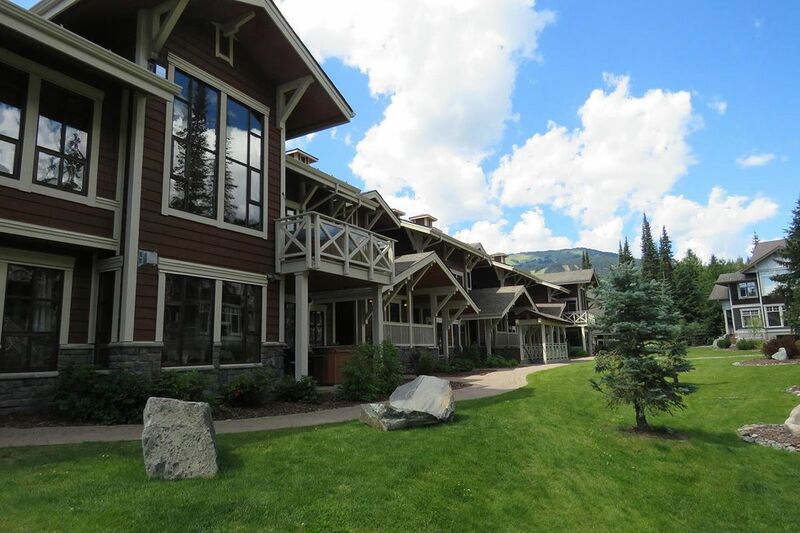 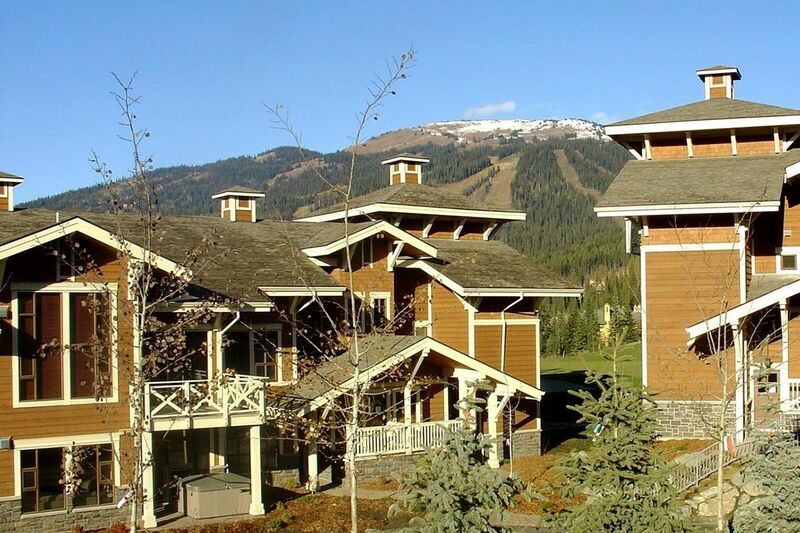 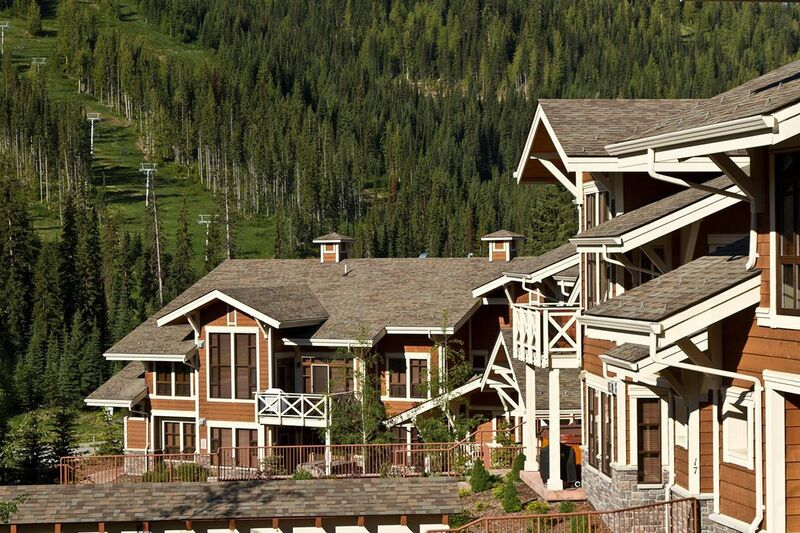 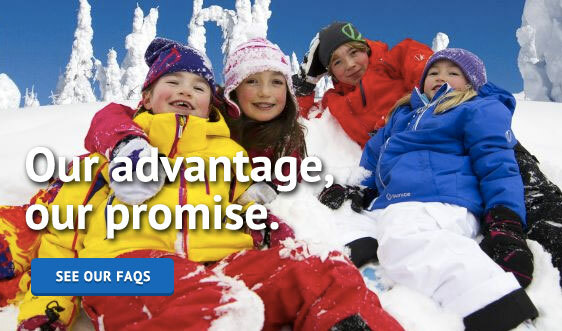 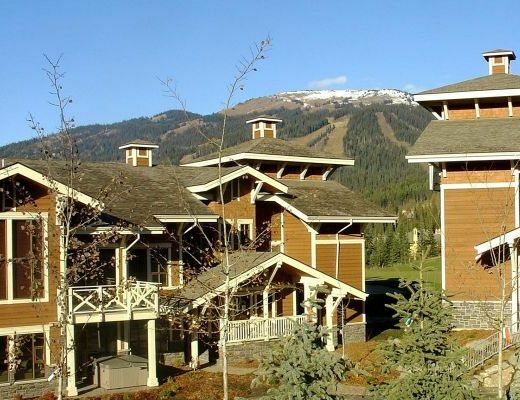 Situated on the 16th fairway of Sun Peaks Golf Course, near the base of Mt. 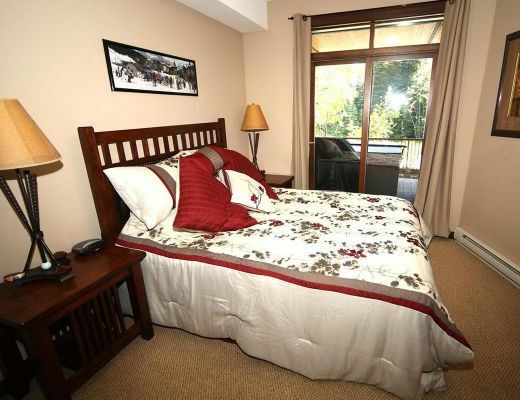 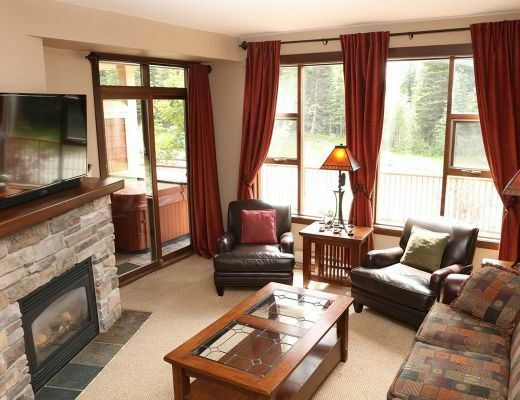 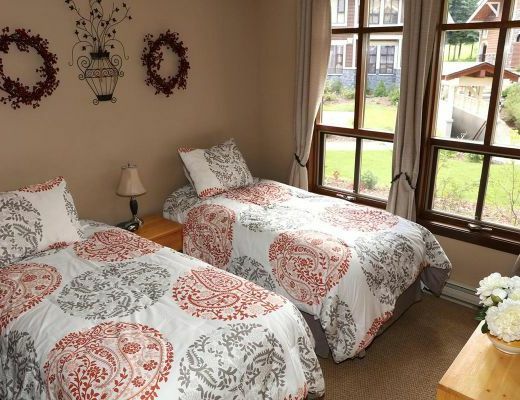 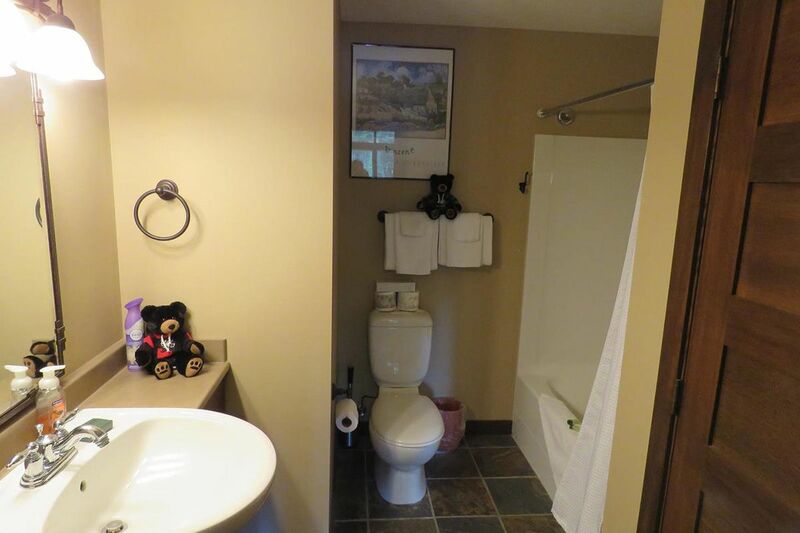 Morrisey Chairlift, this newly developed two bedroom condo offers warm and inviting accommodation for your entire party to enjoy. 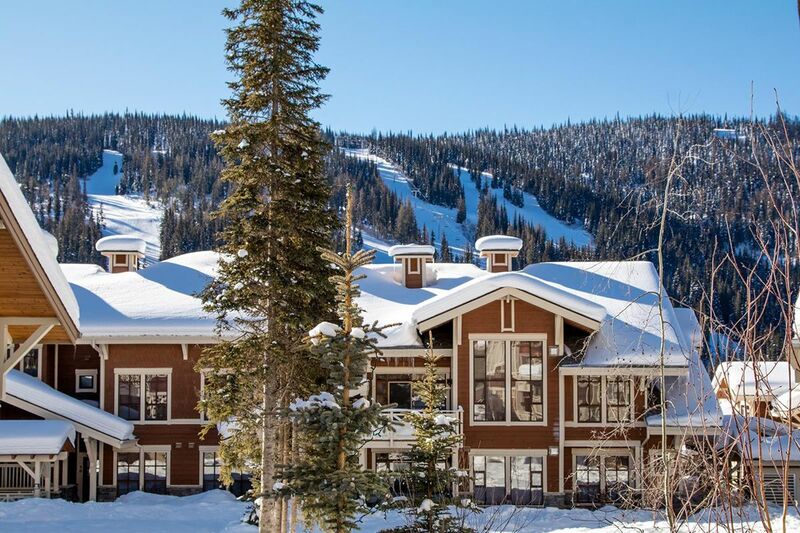 Beautifully decorated, Stone's Throw rentals provide desirable ski-in/out access, ensuring you are in the midst of the alpine action. 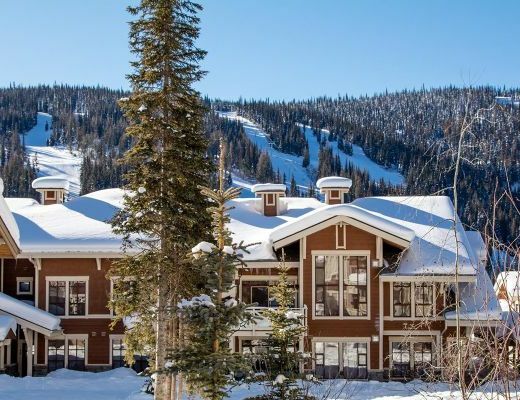 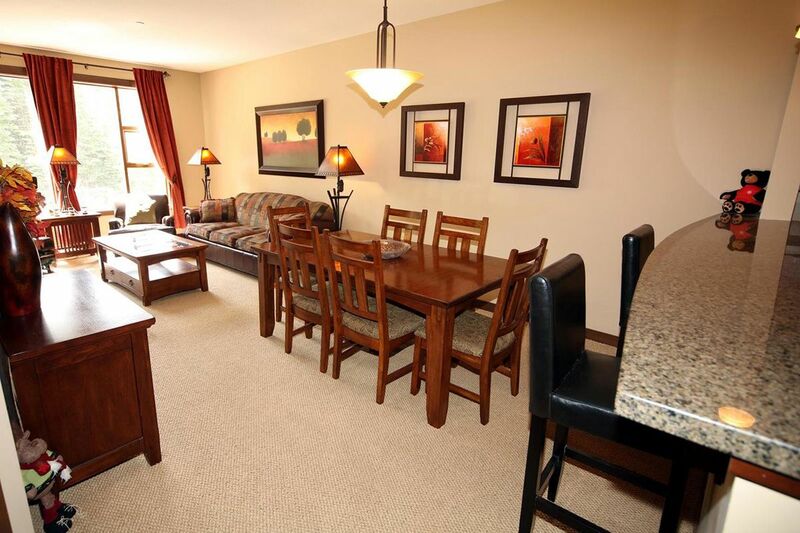 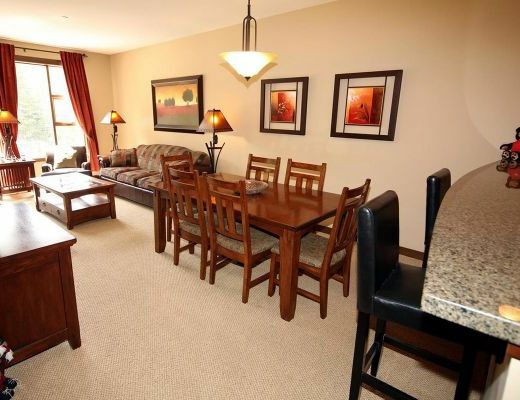 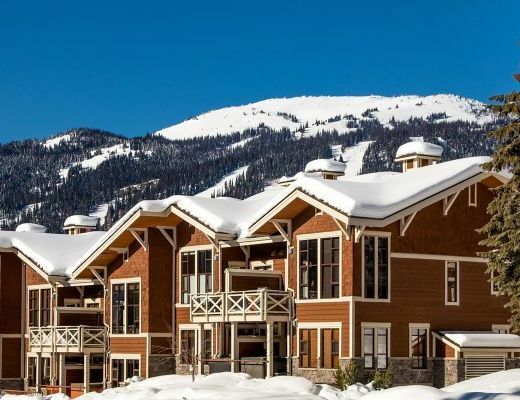 Ideal for your upcoming ski resort vacation, this charming unit features an impressive use of natural elements, creating a sense of rustic sophistication. 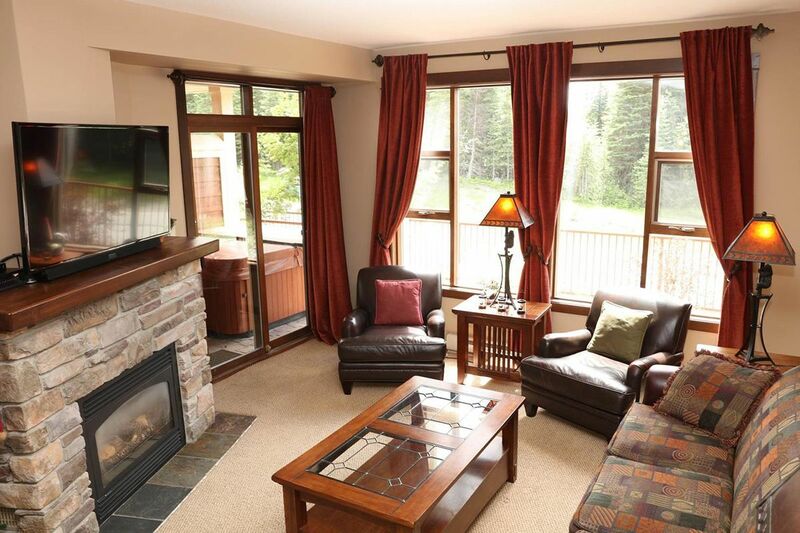 From richly stained shaker-style cabinetry to the modern slate-surround fireplace, Stone's Throw surrounds you in a brilliant blend of finishes and textures. 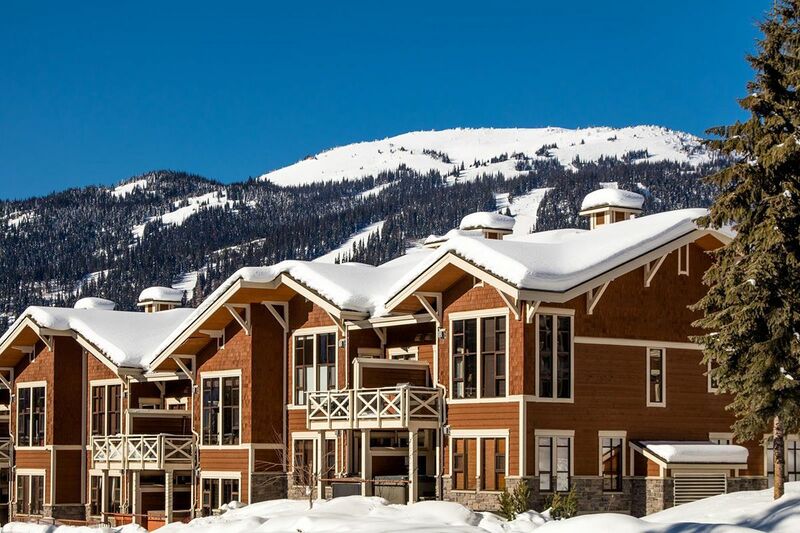 The well-appointed kitchen, offering contemporary appliances and all the conveniences of home, ensures meal preparation is done with ease and in style, while the open-concept living space makes for fantastic entertaining. 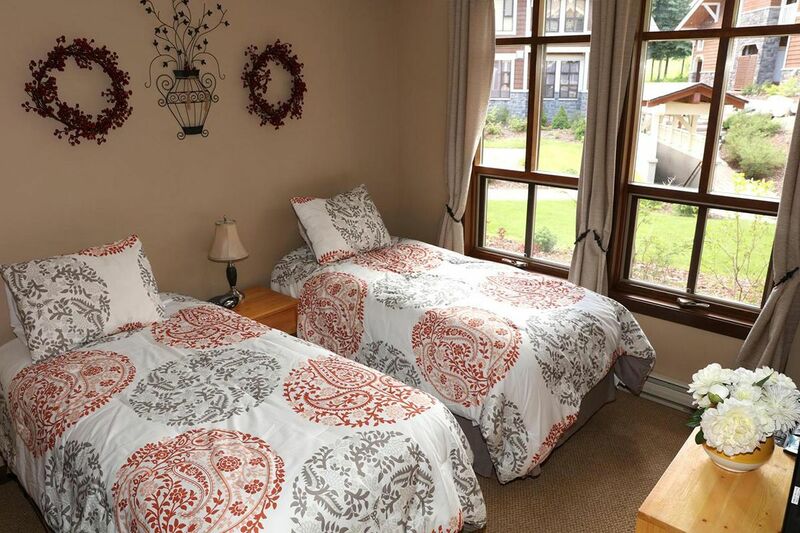 Retire after a long day to one of the attractively furnished bedrooms, each dressed in soft linens and promising a peaceful slumber. 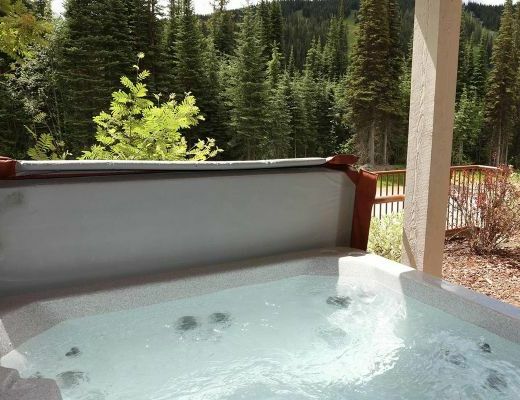 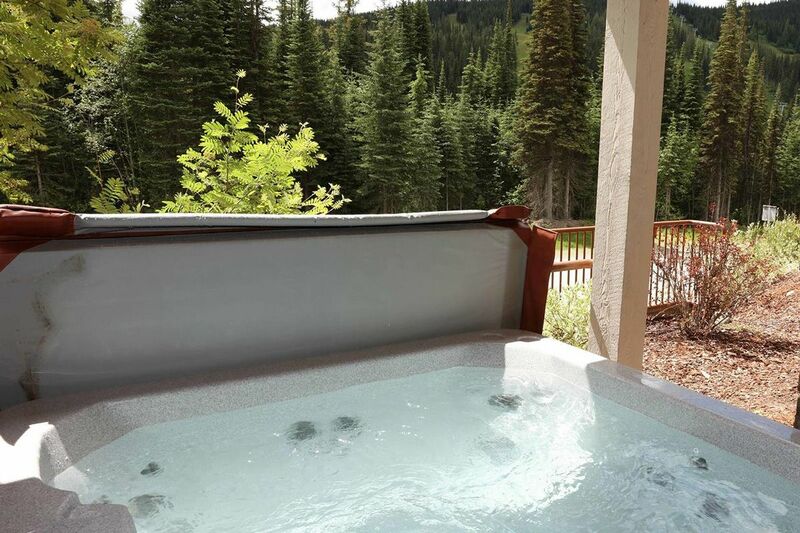 With lodging accommodations for as many as seven guests and a private outdoor hot tub, this property is a fantastic option for your next mountain getaway. 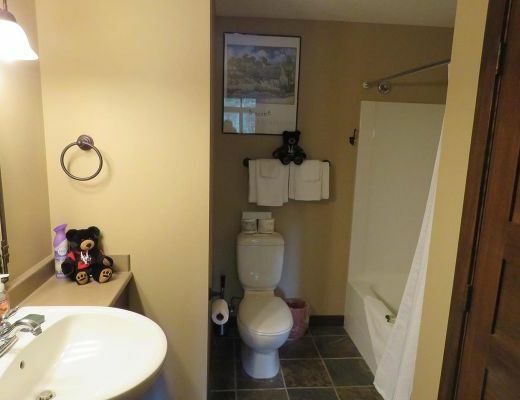 **Pets will incur an additional pet fee.